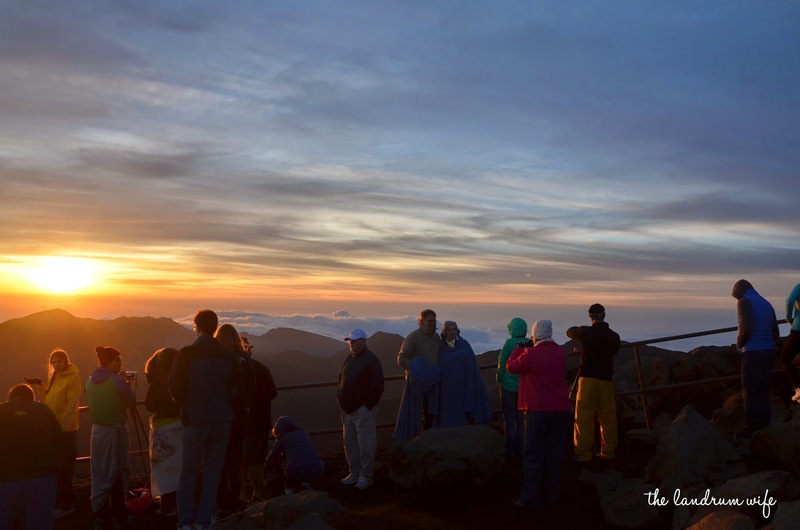 STARTING FEBRUARY 1, 2017: Reservations will be REQUIRED to enter the park between 3AM and 7AM to view the sunrise. Make your reservations HERE. 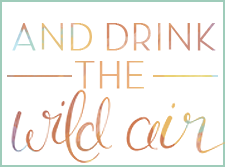 You definitely need to stay hydrated at this altitude. Altitude sickness is real and can be quickly brought on by dehydration, so bring plenty of water for everyone. 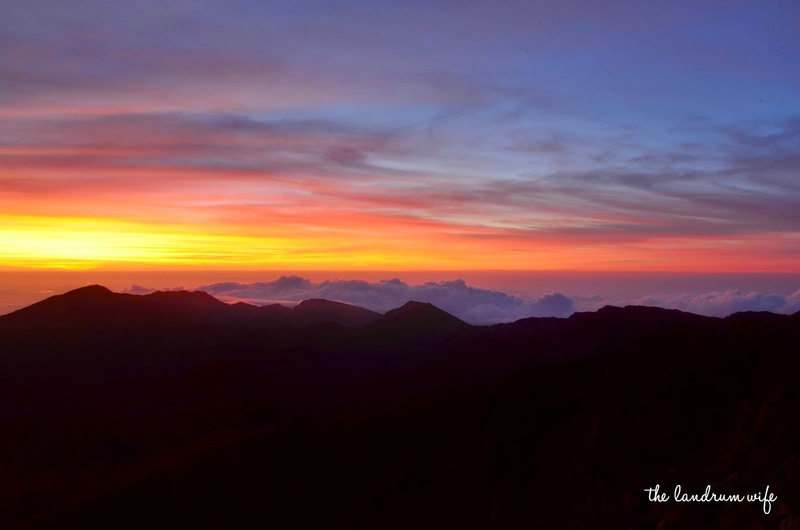 Sunblock is also a really, really good idea if you plan on exploring after the sunrise. 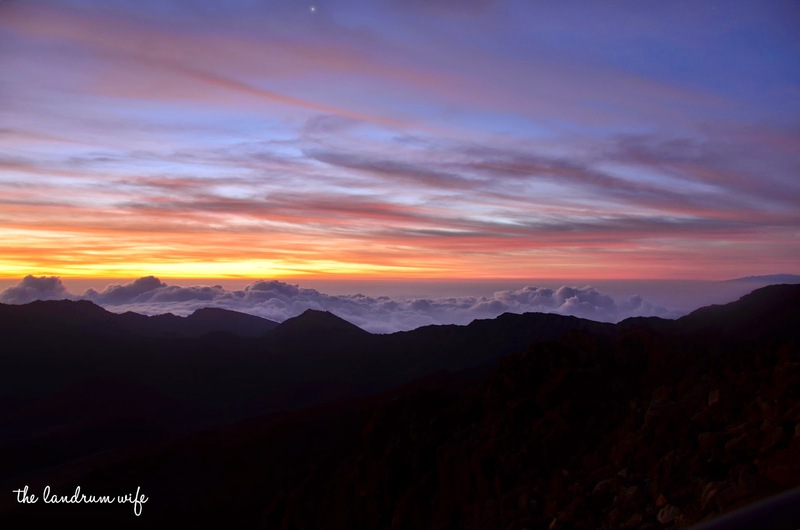 A flashlight is a good idea so you can navigate well in the dark (we should have brought one), and binoculars would be great for stargazing and checking out the rest of Maui around you after the sunrise. 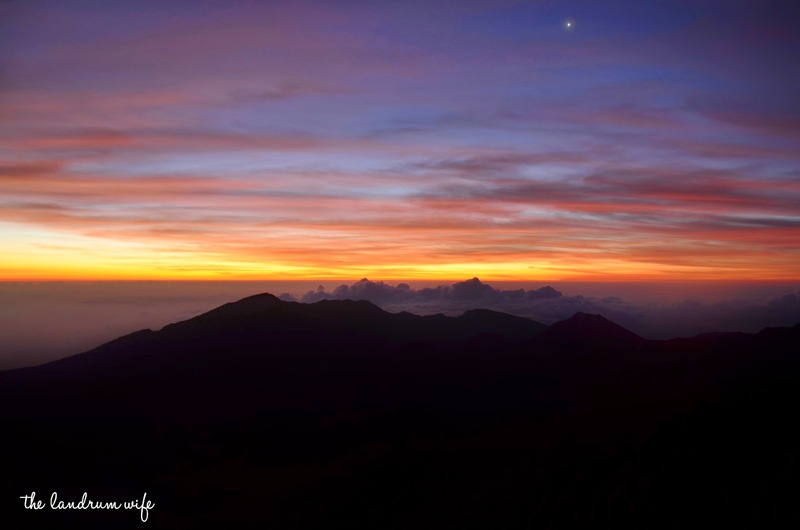 If you plan on taking photos of the sunrise, two important tips are to turn off your camera's flash and keep your camera steady. If possible, stabilize your camera on a railing or even a tripod to reduce the chance of blurry pictures. 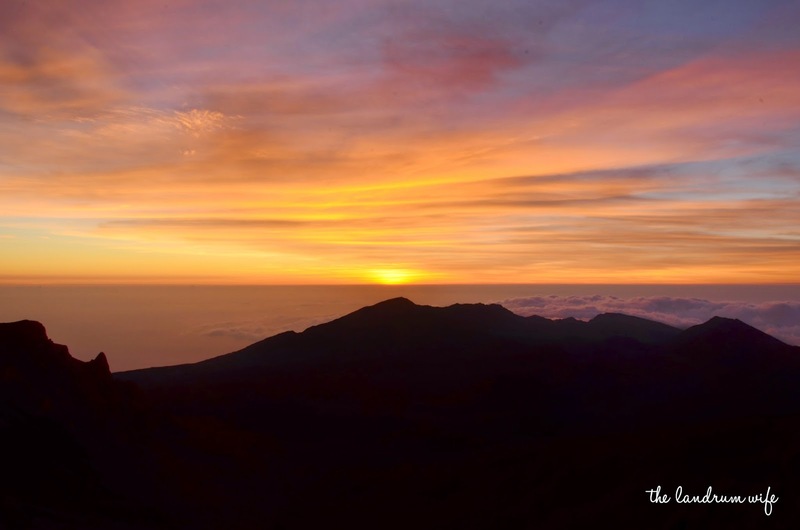 If you're coming from the mainland, it may be easiest to do this activity within your first day or two on Maui due to jet lag. Tours are available for this activity, but it was actually really easy to DIY. The road to the summit is paved the entire way and it isn't a strenuous drive at all, even in the dark. Plus being able to do whatever you want after the sunrise is really great! 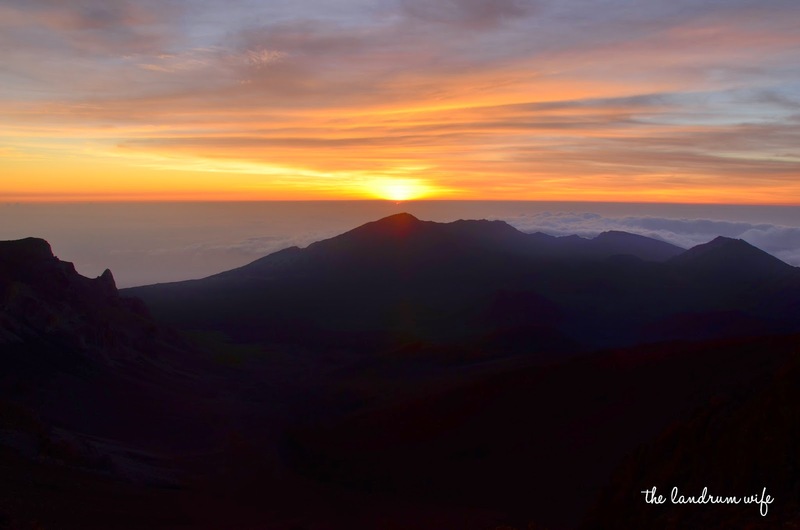 One of the things I had been looking forward to doing the most since moving to Hawaii was being able to watch the sunrise from the top of the Haleakala volcano on Maui. On my and Mr. L's first trip to Maui, this unfortunately was not able to happen due to the government shutdown that occurred in 2013. We were very disappointed but we knew that we absolutely had to come back and experience it, so that's exactly what we did last month when Mr. L was able to get away for a weekend. 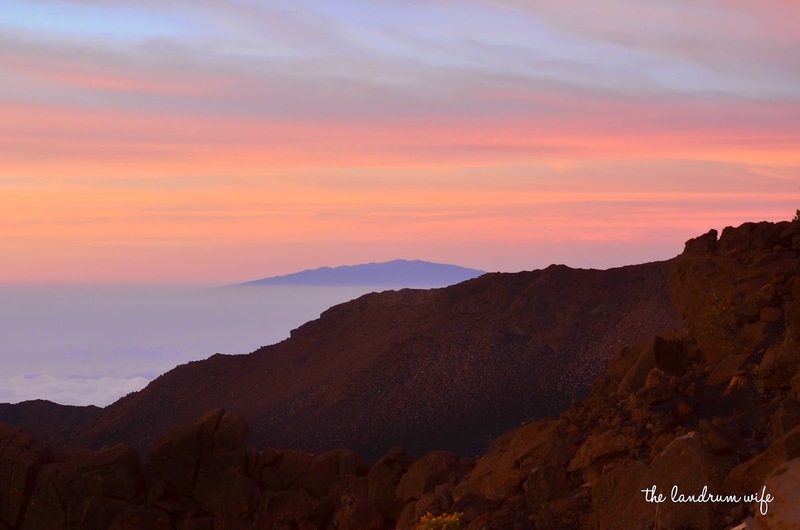 Haleakala is a massive shield volcano that actually makes up the majority of the island of Maui. 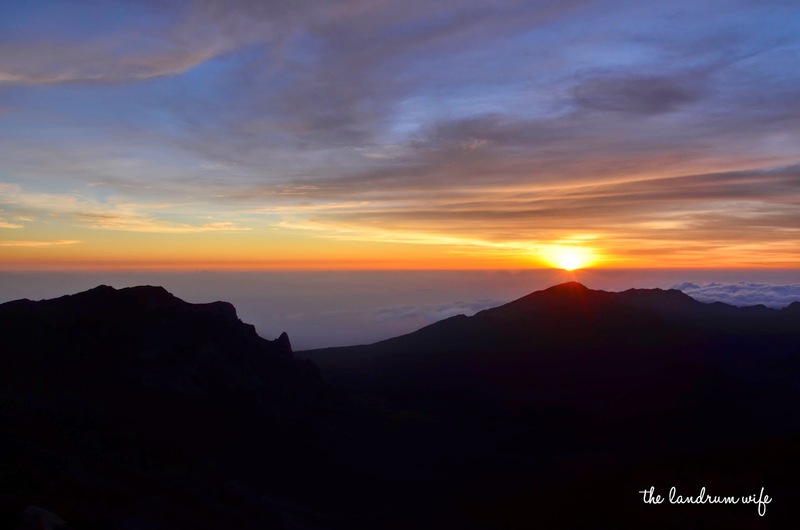 It is around 1.1 million years old, and its summit sits at over 10,000 feet high. 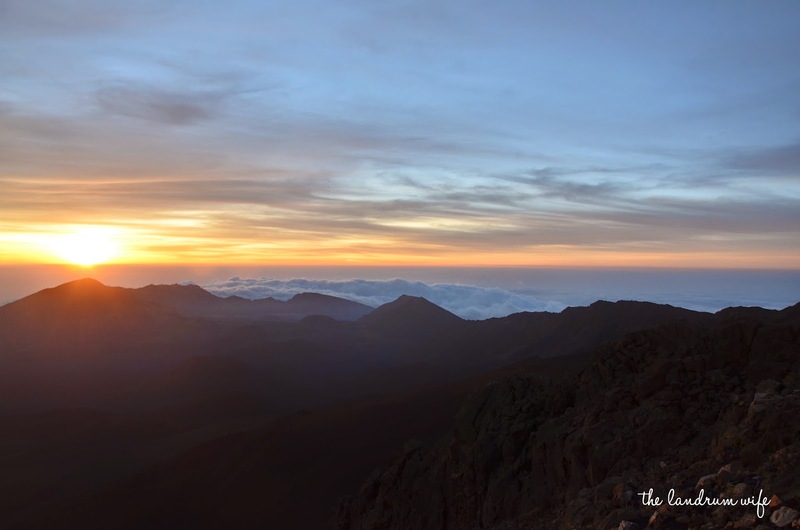 "Haleakala" is Hawaiian for House of the Sun, which makes it more than appropriate to watch sunrises and sunsets, and ancient Hawaiians claimed it to be the home of the grandmother of the demigod Maui. 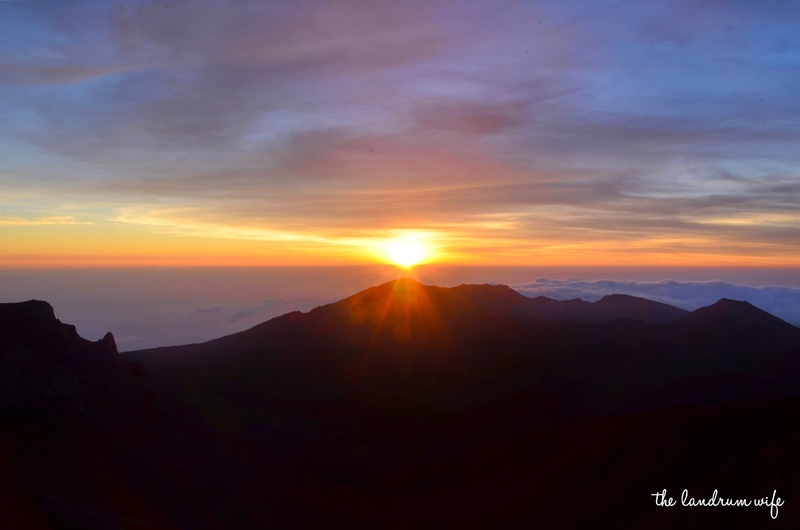 It was here that Hawaiian legends claim that Maui lassoed the sun and forced it to slow its path across the sky to increase the length of the day in order to please his mother. 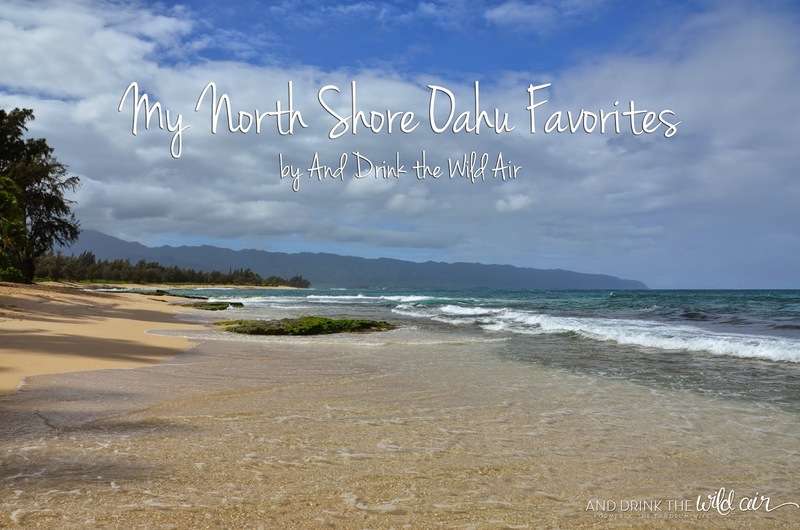 Because we were staying at the Westin Maui in Ka'anapali on the western side of the island, we knew that we had a heck of a drive ahead of us the morning of the sunrise. We woke up at about 2:30 A.M., got dressed in some of our warmest clothes, and then proceeded to leave the hotel around 3 A.M. I was lucky enough (ha!) to be the one driving the first leg but I actually ended up preferring driving in the dark. Basically what I couldn't see couldn't hurt me, haha. It also really helped that the road is quite well-maintained so it was a very smooth ride overall. All in all the drive from Ka'anapali took roughly two hours total and we arrived at around 5 A.M. I was worried for a while because our cell phone GPS kept saying it was a three hour drive for some reason, but thankfully that was not the case and we actually arrived at the perfect time to set up my tripod and camera and also get a tiny slice of stargazing in. It was absolutely breathtaking to be able to just look up and literally see the Milky Way galaxy above us, so I highly recommend getting here even earlier if you want to maximize your stargazing potential. 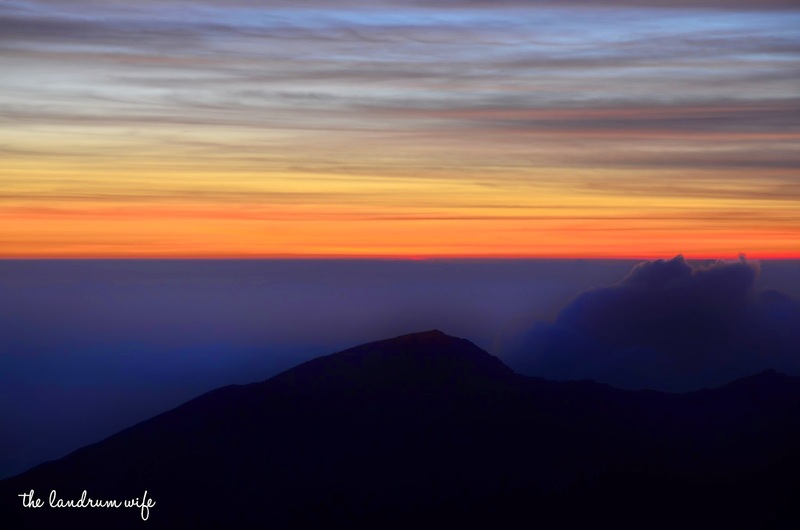 Thankfully we will be heading to Mauna Kea on the Big Island in the future for some even better stargazing, so we weren't too disappointed to have missed it here. I didn't do very much research before we did this activity (which is pretty out of character for me, actually), so I was unaware of our options from which to watch the sunrise. 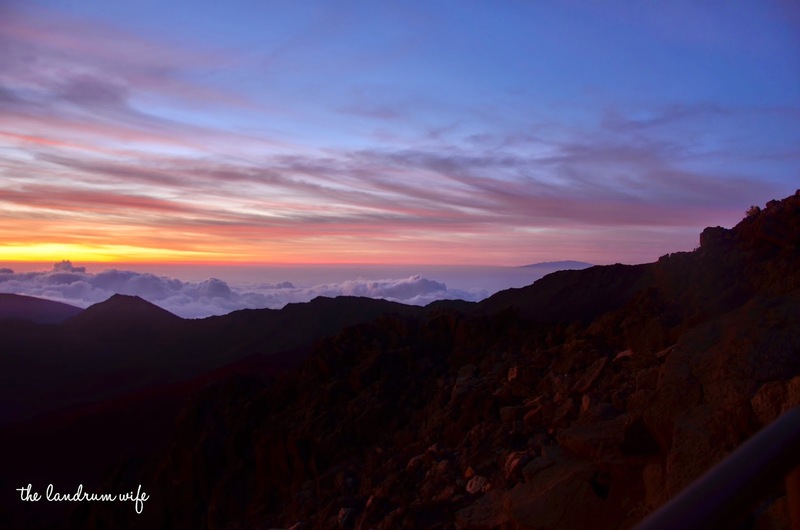 We ended up stopping at the first large parking lot we came upon, which was the Haleakala Visitor Center's (9,740 feet) parking lot and coincidentally the most popular vantage point. 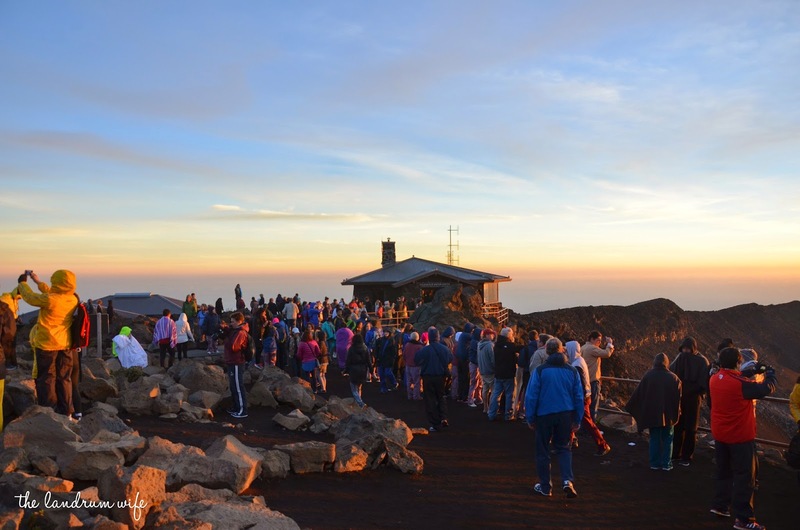 However, you could also keep driving up to the actual summit (10,023 feet) and watch the sunrise from there (take the right at the Visitor's Center parking lot) or you could even stop before the Visitor's Center parking lot at the Kalahaku Overlook (9,000 feet). 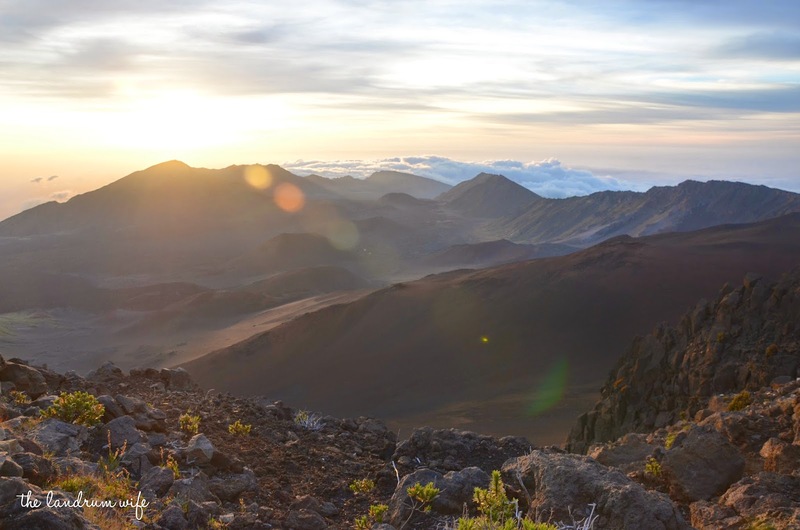 And if you feel up for a tiny hike, there's a 0.4 mile trail right next to the Visitor's Center called the Pa'oao Trail (AKA White Hill Trail) that takes you up to a view that would be perfect for the sunrise. 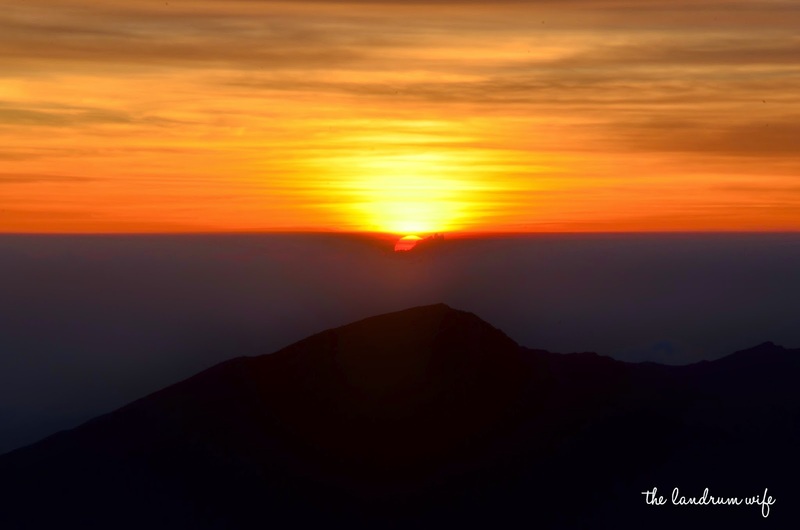 Just be sure to monitor yourself and your loved ones for any signs of altitude sickness and don't overdue it. It was incredibly bizarre for me to walk only a short distance only to find my pulse racing thanks to the overall lack of oxygen at this elevation. 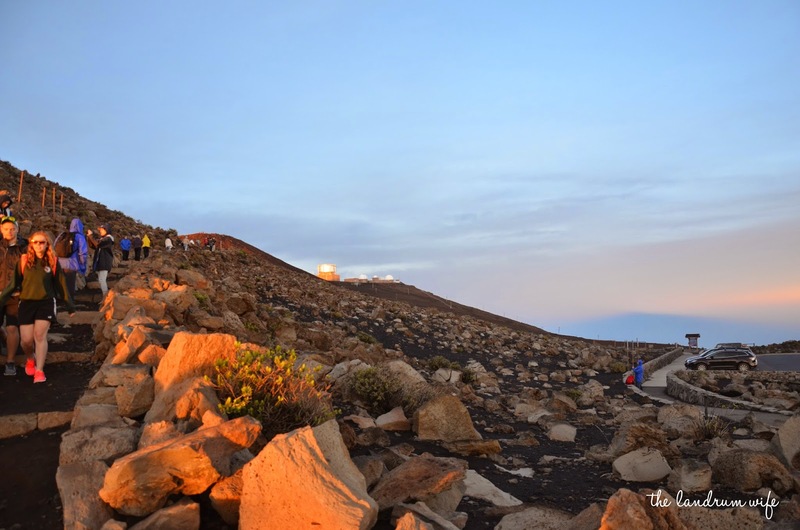 If we would have known of the other places beforehand, we most likely would have chosen to continue on up to the summit, but in the end I don't think it made too much of a difference for us, although the crowd was pretty substantial at the Visitor's Center. If you aren't a crowds person and especially if you are photographing the sunrise, I would suggest one of the other locations. 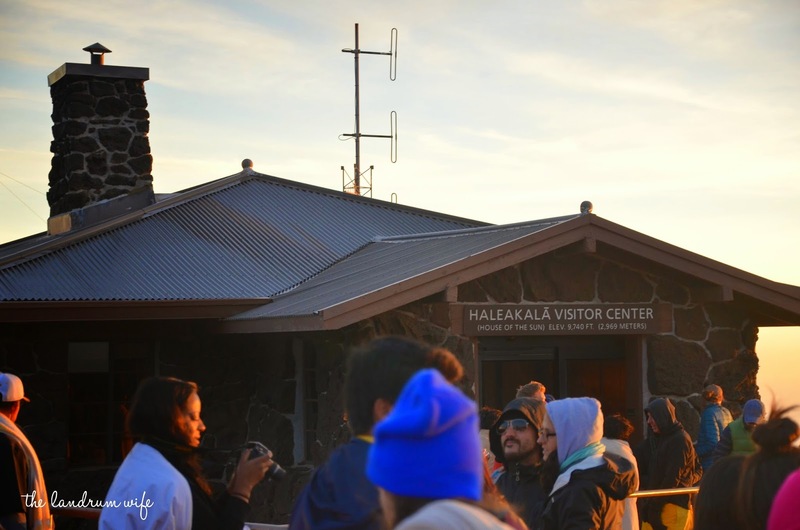 When the sun finally makes its grand appearance, a park ranger calls out a beautiful chant known as a mele oli that welcomes the start of the new day in the House of the Sun as the crowds admire the beauty around them. 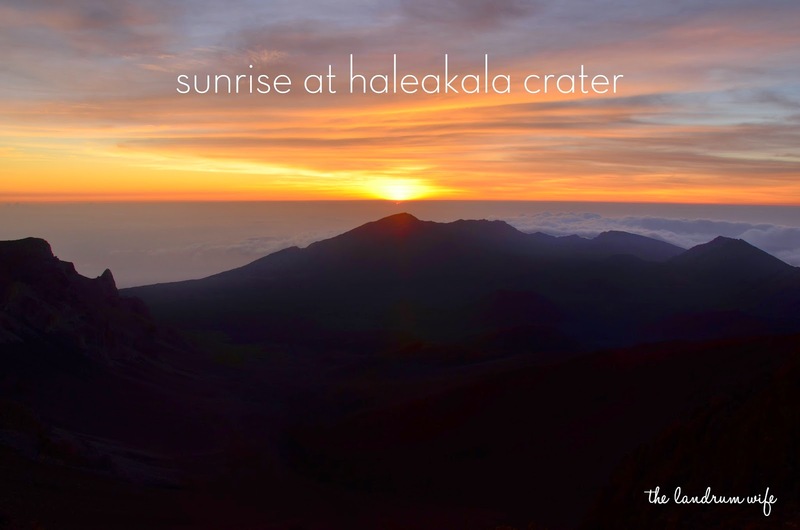 Finally, you're able to see all of the majestic crater before you, and I'll be honest with you -- it was one of the most breathtaking sights I've ever seen in my life! I could tell that everyone around us was just in awe, and with good reason. 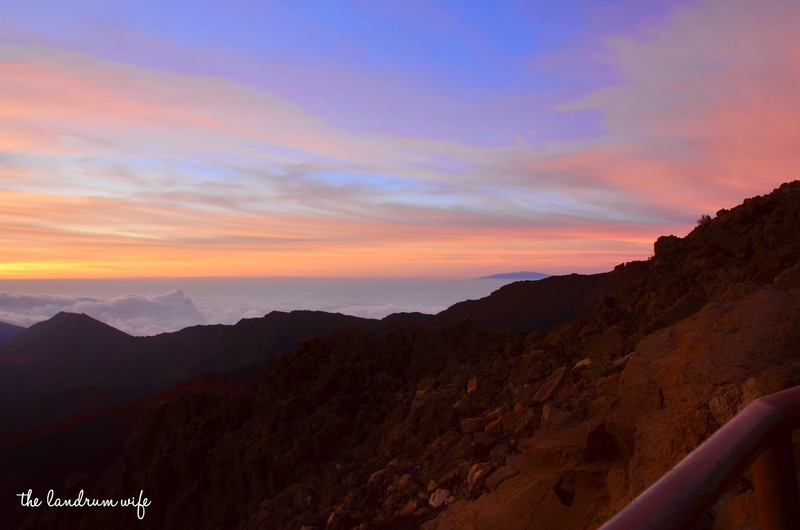 Is seeing the sunrise at Haleakala on your bucket list?